“•Providing an opportunity for listening to and visually interpreting classical music. • Increasing awareness of The Jackson Symphony and familiarize students with repertoires presented by The Jackson Symphony. For the past three years, Homeschool Roster has provided a means for homeschool students to participate in the contest. This year, there were eight homeschool students – Alyssa Basham, Ruthie Freeman, Alex Harrison, Zane Harrison, Evangeline Holmes, Issac Holmes, Bethany Knott and Caylee Knott – who participated and four of them received winner ribbons and a T-shirt for their art pieces. Pictured is Ruthie Freeman with her art piece, “Streams of Shining Waters”. Photo courtesy of the Freeman family. 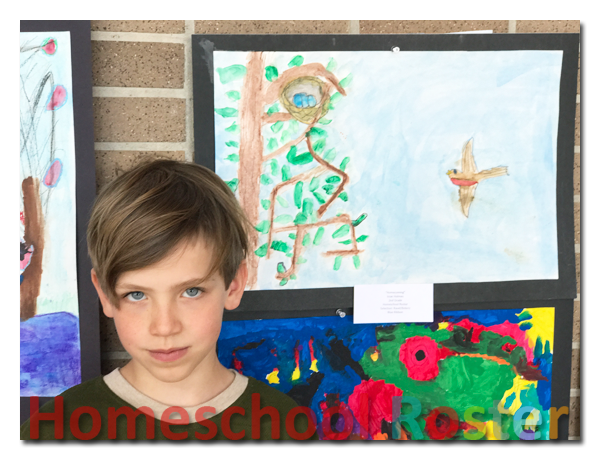 Pictured is Isaac Holmes with his art piece “Homecoming”. Photo courtesy of the Holmes family. 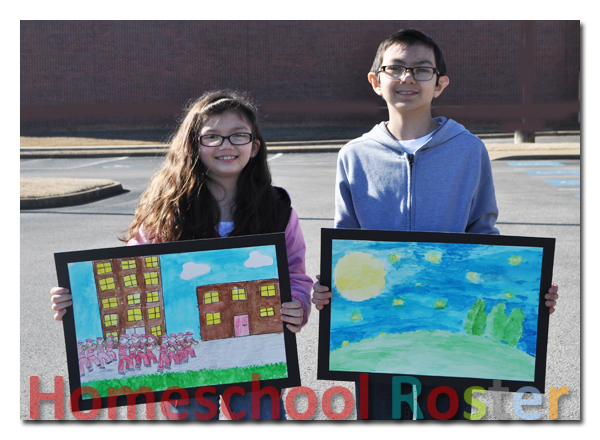 Pictured (l-r): Alexi Harrison and Zane Harrison with their art pieces, “The March” and “Twinkling Stars”, respectively. Congratulations to those winners and a big thank you to all who submitted art pieces. It is wonderful to have the homeschool community represented in the contest. All of the art pieces that were submitted by students will be on display at the Carl Perkins Civic Center Thursday, April 6 through Friday, April 14. The awards ceremony will be held on Saturday, April 8, at the Carl Perkins Civic Center where the winners will be recognized. That is the day after the last free open rehearsal by the Jackson Symphony Orchestra. Homeschool Roster has a field trip to that rehearsal on Friday, April 7, which will feature a Musical Journey through Europe with Music from Roman Carnival Overture by Berloiz and The Moldau by Smetana. 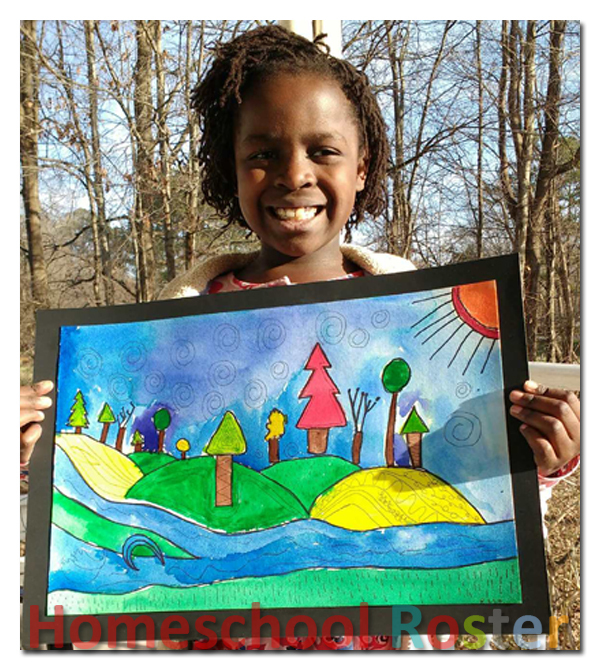 If you have a child who would like to participate in the Color of Music Art Contest for 2018, send an e-mail to Homeschool Roster and you will receive a reminder e-mail notifying you once the dates have been confirmed.